Ottimino means “Little Eight,” so called because he was the last of eight children and the smallest, but had big ambitions. When he came to America in 1913, he made his home on a beautiful ridge above Green Valley (western Sonoma County) and forged a life on new soil. Ottimino became a favorite in the area, and always spoke proudly of his vines. along the way one of the friends he made was Brad Alper, who had a dream similar to Ottimino's. Brad's first grapes grew as Ottimino's time was coming to an end, and the legacy was passed on. His inquiries led him to veteran winemaker Bill Knuttel, who instantly knew that Brad's (and Ottimino's) dream would soon become Brad and Bill's passion. 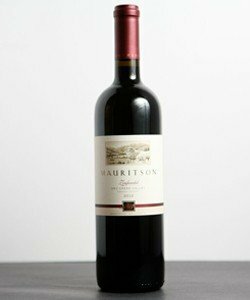 Long time California wine-maker William Knuttel has concentrated on ultra-premium winemaking for the majority of his career. Knuttel’s winemaking journey began at Saintsbury. While there he founded and was owner/winemaker of Tria, producing fine Pinot Noir, Syrah and Zinfandel. 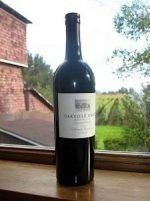 Bill has also served as Vice President and Winemaker at Chalk Hill Winery and Dry Creek Vineyard, as well as producing his own label. 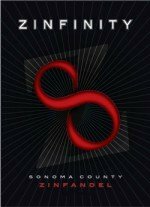 The foundation of the 2015 Ottimino Zinfinity is the 50 year old vines in Biglieri Vineyard, Dry Creek, blended with some Bradford Mountain selection Zin from Ottimino Vineyard, their home ranch. To these finely nuanced Zins, they added a touch of fruit from Chalk Hill. Finally, they added Petite Sirah from Doug Rafanelli’s steep hillside vines to enhance the density and structure of the blend. 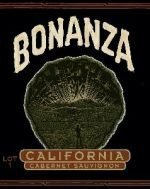 Deep and defined, optimally ripened blackberry fruit is joined in the developing aromas of this complex Zin by a distinctive note of dusty soil spice, and the ensuing flavors reflect the same. 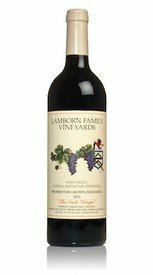 A trim bit of tannin lends structural spine and neatly placed acids keep things agile, and all the while persistent fruit is the force that drives this one through to a very long finish.